Predicting and rationalizing the factors that influence the price of cryptocurrencies remains one of the holy grails of the crypto-asset market. 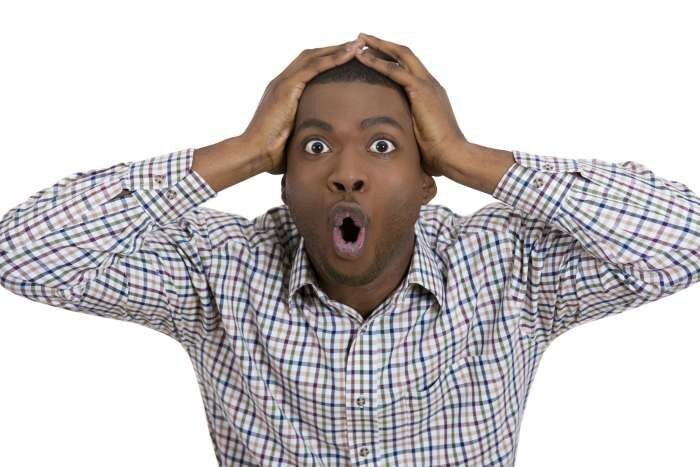 The new asset class has proven resilient to many traditional quantitive financial analysis methods and traditional technical analysis is pretty much a joke when comes to the crypto space. Not surprisingly, every week we get disproportional amount of failed predictions about the price of cryptocurrencies from chartists that keep trying to apply vanilla technical analysis methods to the cryptospace. I am not a fan of technical analysis but, even if you are, you can agree that it might need some refinement to apply it to the cryptocurrency space. The fundamental challenge of applying quant techniques to crypto-assets is that we have no clue about the factors that influence their price. Crypto-skeptics like Jamie Dimon and Warrant Buffett will claim that the only factor influencing the price of cryptocurrencies is what other people are willing to pay for it [ We know that’s mathematically and factually wrong but that’s a story for another day]. On the other side, most crypto-analyst have strong intuitions that there is a correlation between the price of cryptocurrencies and market factors such as the behavior of fiat currencies, commodities and specific groups of stocks. Little has been done to validate those intuitions statistically but they seem to make sense logically. Well. it turns out that those market intuitions might be completely unfunded following Nobel prize winners Daniel Kahneman and Richard Thaler like to call “The Illusion of Validity ” or what Nassim Nicholas Taleb often refers to as the “Narrative Fallacy”. 1) There is no statistically consistent correlation between the price of cryptocurrencies and the price of stocks, currencies, commodities or macro-economic indicators. 2) There are two cryptocurrency-specific factors that seem to be highly influential on the price of crypto which the researchers called “momentum” and “investor attention effect”. 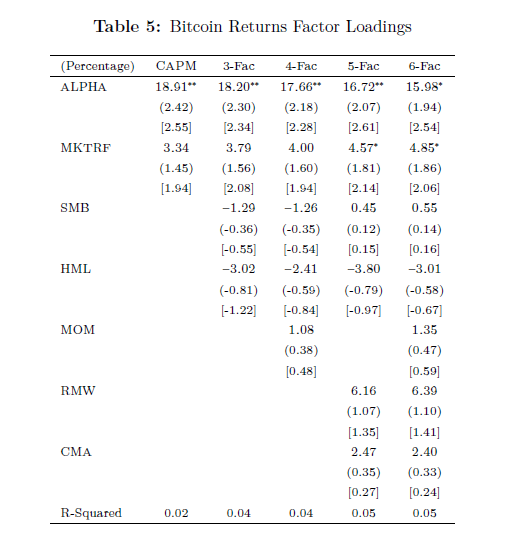 The following table shows the analysis of Bitcoin prices across all the CAPM-Fama models. 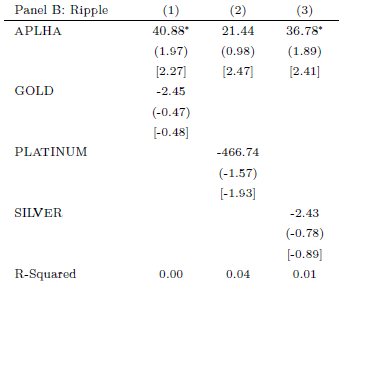 The study show that different cryptocurrencies show different and no statistically significant levels of correlation with stock portfolios. For instance, Ethereum seems to move closer to growth firms while Bitcoin seems more correlated with value firms and, in neither case the correlations were significant. The study then moved to analyze the price of cryptocurrencies correlated with commodities such as gold, platinum or crude oil. Another strike out. With the exception of some minor exposure to Ethereum to the price of gold, there was no apparent correlation between cryptocurrencies and commodities. Finally, the study considered how macro-economic factors such as non-durable consumption growth, durable consumption growth, industrial production growth, and personal income growth could impact the price of cryptocurrencies. Another shocker. 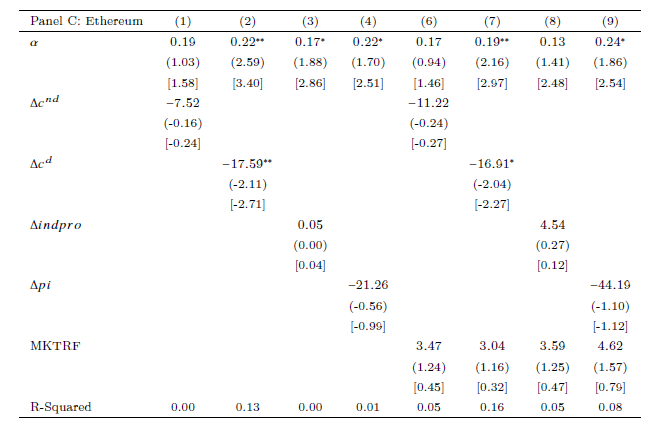 For Bitcoin and Ripple, all of the exposures are not statistically significant. For Ethereum, notably, the durable consumption growth factor has a significant loading. If cryptocurrencies don’t respond to the behavior of stocks, commodities, fiat and macro-economic factors, what influences their prices then? The Yale study identified two main crypto-specific factors that seems to be highly correlated to the price of cryptocurrencies. Momentum is a classic factor in almost every relevant asset class in the market. Conceptually, momentum quantifies the propensity of an asset to increase in value after it experience minor increases. In simple terms, “If things go up, they continue to go up on average, and if things go down, they continue to go down,”. .The report found that if the price of bitcoin increased sharply over a week, it would be likely to continue to increase for the following week. The research study found that momentum is a strong factor to predict the price of cryptocurrencies. For Bitcoin daily returns, the current return positively and statistically significantly predicts 1-day, 3-day, 5-day, and 6-day ahead returns. A one standard deviation increase in today’s return leads to increases in daily returns by 0.33 percent,9 0.17 percent, 0.39 percent, and 0.50 percent increases at the 1-day, 3-day, 5-day, and 6-day ahead returns, respectively. No research study is going to convince that hype doesn’t play a role in the price of cryptocurrencies. There is no need. Tsyvinski and Liu found the amount of interest and hype around cryptocurrencies, measured by investors searching and posting online, was a significant predictor of price movements. To be nice about it, they called this factor the “Investor Attention” factor (I would have called it differently for sure). The following matrix correlates the price of Bitcoin with Google searches. 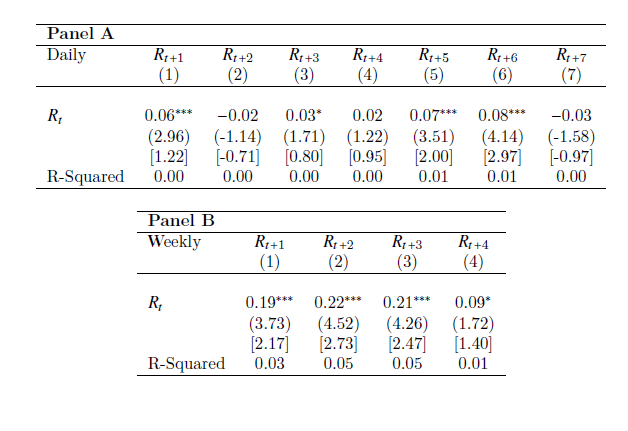 For weekly returns, the Google search proxy statistically significantly predicts 1-week and 2-week ahead returns. A one-standard-deviation increase in this week’s searches leads to increases in weekly returns of 1.84 percent and 2.30 percent at the 1-week and 2-week ahead returns. At the moment of writing this, we are still going thru the math published in the study to evaluate some of the concepts but the results make a lot of conceptual sense. Cryptocurrencies are a new asset class different from existing asset classes. As a result, the price of behavior of crypto-assets is correlated to a new set of factors. 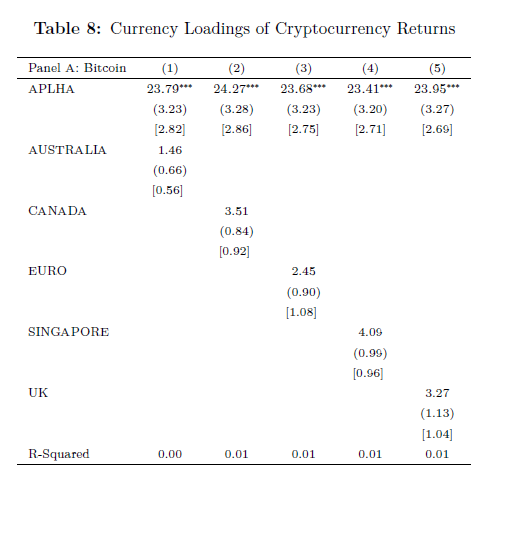 The study shows that those factors tend to be crypto-specific and not related to the overall market. Momentum and Investor Attention are just two of hundreds of quantifiable factors that play a role on the price of crypto-assets but its nice to finally attach some math to the madness. Adding Math to the Madness: The Most Important Research Study on the Price of Cryptocurrencies Has… was originally published in Hacker Noon on Medium, where people are continuing the conversation by highlighting and responding to this story.